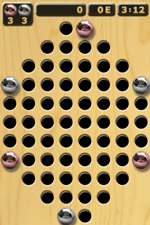 Ballboon is an excellent strategy board game. Compete your device in 99 unique, well designed puzzle levels! Be the super scorer! Place your country at the top!! You compete against everyone from around the world!